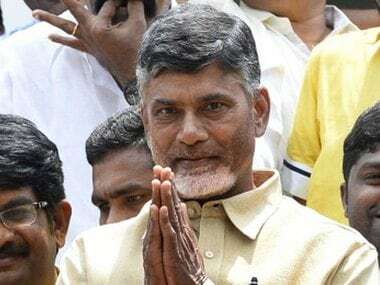 Amaravati: Andhra Pradesh chief minister N Chandrababu Naidu has said he is ready to move a no-confidence motion against the Narendra Modi government with the support of other parties to get "justice" for the southern state. However, he said such a move will be the "last resort". Earlier in the day, Naidu had dismissed demands made by the Opposition YSR Congress and Jana Sena to consider bringing a no-trust motion. 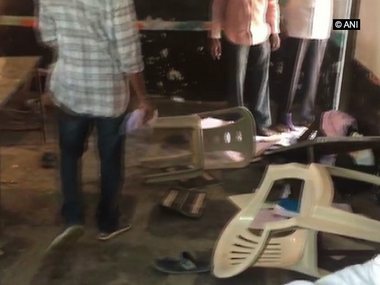 TDP sources had said Naidu, who heads the TDP, was planning to convene an all-party meeting soon to discuss ways to build pressure on the Centre to secure the state's "rightful" due. Ties between the BJP and TDP came under severe strain after the latter accused the Centre of making "insufficient" allocations for Andhra Pradesh in the Budget 2018-19. "But a no-confidence motion should be the last resort. We will continue our fight for justice to Andhra Pradesh. If that doesn't happen, we will muster support from other parties and move a no-trust motion," the TDP president announced at meeting of Madiga Reservation Porata Samiti in Vijayawada. 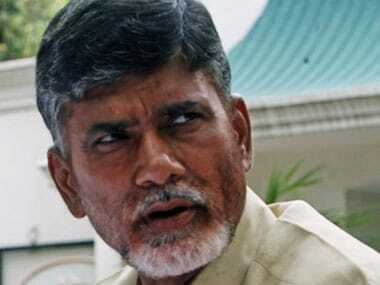 The TDP is a key constituent from south India in the BJP-led NDA dispensation. 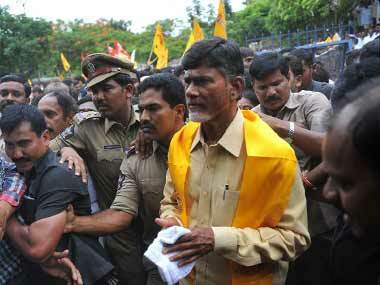 Naidu said protecting the interests of the state was of paramount importance for him. "The Centre did nothing for us in the last four years. As chief minister, I will not tolerate if injustice is done to people. Whether they (the Centre) will help us with a special category status or a special economic package is up to them," he said. The main Opposition YSR Congress and the Jana Sena wanted the TDP to move the no-confidence motion demanding that the Centre grant special category status to AP. While dismissing their demand, Naidu had said that the Modi government enjoys "full majority". YSRC president YS Jaganmohan Reddy announced that his party would move the no-trust motion if the TDP did not do so. But Naidu cautioned against this and said it would backfire. "If you move a no-confidence motion, they (BJP) have majority. It will be defeated and you can't talk anything for six months on the issue," the chief minister told reporters at the Polavaram project site this afternoon. "First there should be a debate... we have to muster support... Injustice was done (to Andhra Pradesh) right inside Parliament. Now we are demanding justice from the same Parliament. When our minister (YS Chowdary) demanded in Parliament that justice be done to the state, they (YSRC) demanded his dismissal (citing rules and procedures). Now they are talking about no-confidence," he said. Naidu had said that provisions of the AP Reorganisation Act, 2014, and the promises made by the then prime minister Manmohan Singh in the Rajya Sabha have not been implemented yet. "We are also part of India. When I say that, they (YSRC) say we will run away by resigning (from Parliament) or moving a no-confidence motion," Naidu said. 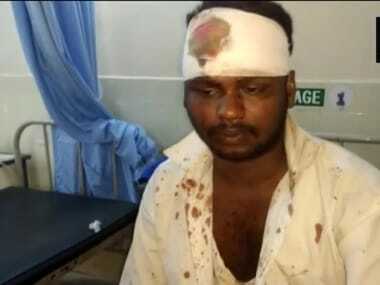 He had accused Jagan of trying to gain an "upper hand" to corner the TDP on the special category status issue. "Without understanding parliamentary procedures and traditions, he (Jagan) wants to show he took an upper hand and cornered the TDP and the government. What is that you cornered? People are watching everything," he said. The chief minister said his government would take the lead to secure the state's rights from the Centre. "Let them come with us and cooperate. But they are asking us to follow them. Who are they? What's their history," he questioned. Following the protests by Andhra Pradesh MPs in Parliament, Finance Minister Arun Jaitley had said that a formula will soon be worked out to release funds under a special package to Andhra Pradesh. The MPs belonging to the TDP, YSRC and Congress had protested "non-implementation" of the Andhra Pradesh Reorganisation Act, and demanded a financial package for the bifurcated state. Interestingly, the Andhra Pradesh unit of the BJP has suggested to its central leadership to break the bond, if required, with the TDP before the latter does so, a state minister said today.